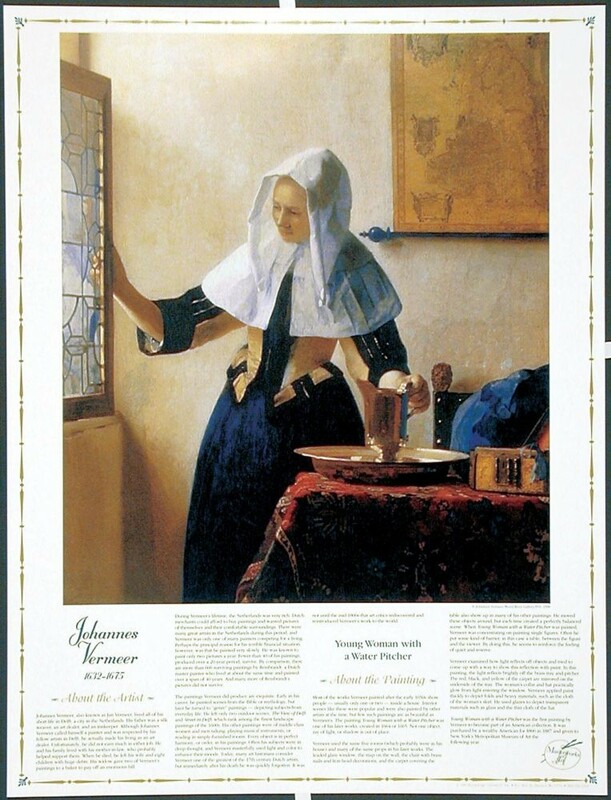 This beautiful art poster features a painting by 17th century Dutch artist Johannes Vermeer, called "Young Woman with a Water Pitcher." The painting, one of his most famous, clearly shows his masterly use of light. 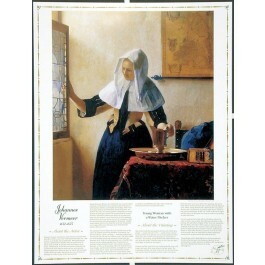 The poster provides information about the artist and a detailed explanation of the work shown.